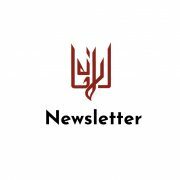 Al Amana Centre has had a rather efficient start for the year, as our schedules in January included two short term programmes, the annual meeting of the Gulf Churches Fellowship, and the beginning of our semester abroad programme. A Tanzanian Muslim-Christian -group arrived in Muscat already on the 4th. During their seven-day programme they got introduced to interfaith collaboration, Omani context and – most importantly – each other’s context. The group was highly impressed by the Omani hospitality and proved to be especially keen on learning how interfaith issues are being managed in the country. During the programme they also brought forth very good reflections on what could they do for peace and tolerance as religious leaders in their own communities in Tanzania. The second group arrived as soon as the previous one had said good-byes to us. Students from the Virginia Theological Seminary (VTS), USA, began their two-week programme on Interfaith Encounters and Intercultural Immersion on the 12th. Like the previous group they got familiar with interfaith work and local culture but spent also considerable time on learning about the situation of minority faith communities present in Oman. For them also one of the main questions was that how they could make use of the lessons learned in Oman back in their home contexts. The annual meeting of the Gulf Churches Fellowship was held on the 14th and 15th January while the VTS students were present. Official matters were discussed on Monday and presentations given on Tuesday. The presentations by archdeacon, Rev. Bill Schwartz and Rev. Justin Meyers focused on the value of conveying respect by being quests and hosts in culturally sensitive ways. Naturally, time for joint prayers and fellowship was provided on both days. The last group in January, the semester abroad students, arrived in Muscat, a bit delayed due to the snow storms in the USA, in the night between the 25th and 26th. Their first couple of weeks have included cultural immersions, thematic lessons, language studies, visits to local sights, and a trip to Abu Dhabi to participate the papal mass on the 5th of February. It has been plenty to be learned and experienced. Although February is more easy-going in terms of programmes, the staff has much to be done before the next guests arrive. Planning and preparing future programmes, improving our ways of working, as well as finding new ways to be of use all takes time and effort. On behalf of the Al Amana Centre Staff we wish to thank all the programme participants and guests for the willingness to learn and have a good time with us! We also wish to thank our partners, local and international, for helping us to make all this possible! The Historic Visit of Pope Francis to the Arabian Gulf.  http://alamanacentre.org/wp-content/uploads/2019/02/Logo_PopeFrancisUAE2019-1.jpg 326 545 justinm http://alamanacentre.org/wp-content/uploads/2017/10/al-amana-logo-full.png justinm2019-02-06 13:01:572019-02-06 13:03:13The Historic Visit of Pope Francis to the Arabian Gulf. February 3-5, 2019 Pope Francis will make a historic visit to the UAE. We at Al Amana Centre congratulate Pope Francis and the UAE and celebrate we celebrate that Muslims and Christians can meet together in peace and friendship. We also celebrate with the thousands of Catholic brothers and sisters who call the Gulf their home the opportunity to celebrate Mass with Pope Francis. 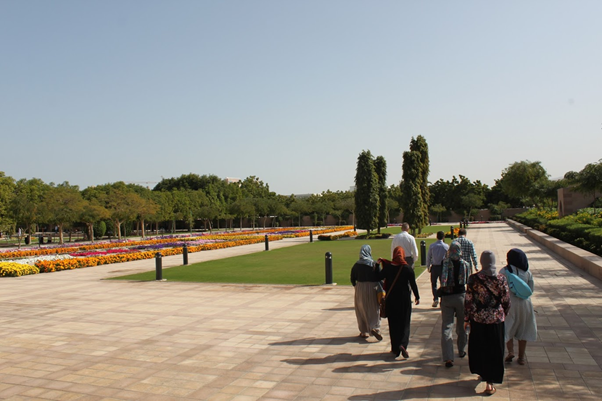 The Oman/Zanzibar tour began with a visit to the Al Amana Center in Muscat, Oman. 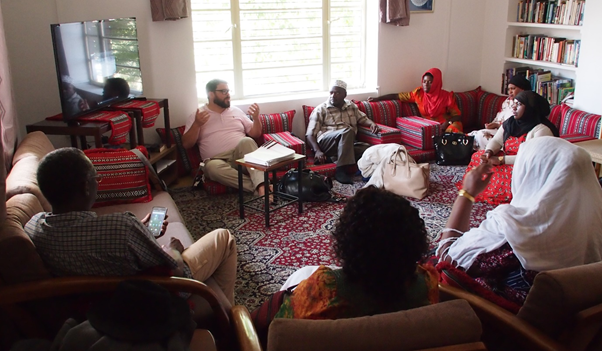 Muslim and Christian leaders from Zanzibar, Kenya, and Denmark briefly toured some of Oman’s most noteworthy spots, while we shared presentations on our work and ministries. After a couple days we loaded our eclectic selves onto a plane to conference in the interfaith center named ZANZIC (Zanizibar Inter-faith Center) located in Stonetown, Zanzibar. 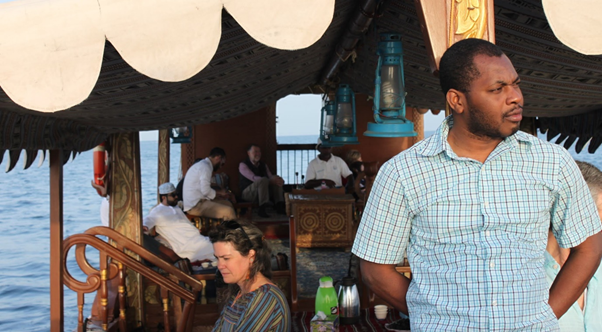 Zanzibar has an interesting historical connection with our dear Oman…and the deeper discovery of this connection in our past began to unfold over the trip, while the potential for more collaboration together in our future was explored. 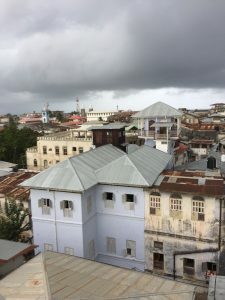 ZANZIC’s home, Stone Town, is a world heritage site, and Zanzibar is neighbor and semi autonomous to Tanzania and the Indian Ocean. It’s a place where seaweed and tourism, spices and raffia palms make up the economic thrust. It is small, yet vast in cultural diversity and beauty. Walking through the streets you are exposed to the plenteous aroma of spices, safari paintings, handmade products of all kinds from clothing to cooking utensils, wood carvings, even our familiar Omani designed doors- intricately carved patterns on wood meant to be a sign of hospitality and welcome. Waters always have great potential for conflict as well as diversity and cultural integration, and Oman found its way to Zanzibar thru its oceanic borders. The Sultanate of Oman was established in 1698, eventually cultivating a unique mutually beneficial relationship as opposed to classic colonization. The Omani Sultan’s presence in the 19th century is marked most obviously by the Sultan’s Palace museum and the museum of the Arabian Princess Selma. 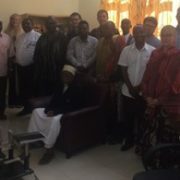 We trickled into our assigned hotels all day Wednesday, Thursday we were sprinkled with the presence of more Zanzibari, Tanzanian and Kenyan religious leaders that added more crucial insight and experience to our discussions. We learned about each ministry these leaders represented, how it works within their contexts, the political, cultural and religious factors that contribute to peace or undermine it, and shared our strategies for building peace. We covered such an incredibly wide range and diversity of topics that we committed to narrowing down the content from all of our contexts to a single theme at the next conference we would have together. Thursday and Friday we opened up with a short message from a religious leader, had morning session, lunch together, and an afternoon session. We enjoyed traditional Zanzibari seafood Thursday evening at a local restaurant where we were serenaded by young male Sufi musicians who bravely, shyly, and generously shared their culture with us. That night monsoon season seemed to greet us, or rather, smother us, on all sides, as we traversed back and forth through the flooded streets of the historic Stonetown to our hotels, hanging all our drenched clothing out to dry. The next day was our last full conference day, and the evening was to be finished off with a dinner hosted by our friends, Danish leaders of ZANZIC in their home. Through these casual dinners we enjoyed each other’s company through food and fun, practicing the essential community building that strengthens collaboration and peace. As for conference discussions, one of the main themes often guiding interfaith conversation is how to ensure that our religious freedoms, practices and passions do not violate human rights. Human rights must be the lowest common denominator between two or more religious clashes in a country. Ensuring each group gets equal human rights is a good way to compromise and protect society from conflict and violence that harms individuals or restrains communities. Therefore one of the broader ideas that streamed through the specificity of our contexts were the difference between human rights and religious freedom. We also did an interesting exercise that illuminated and named the societal, ethnic, religious, and cultural identities to increase the awareness of ourselves, and the meanings that our appearances and social identities may possibly communicate to the world. Zanzibar Interfaith Center’s headline on its website states, “Because religion is part of the problem it also needs to be part of the solution.” Peacebuilding requires the awareness of the actions our own religious identifications have made in the past and its impact on society. ZANZIC’s headline stated above shows awareness of the reality that religion can impact society negatively, while also claiming its even greater healing power and redemptive capacities. ZANZIC offers a variety of opportunities for peace building in the community such as teaching conflict transformation, youth work, even a diploma course in intercultural relations. One of the programs we had direct contact with was Upendo. Upendo means “love” and was developed in 2009. It supports the interfaith center on the top floor literally, and arguably, figuratively. It is a sewing school that has opened up for both Christian and Muslim local women with the goal of building peace while creating trendy or classic clothing and other handmade products. These women live out the daily ordinariness that peace building sometimes requires. Just like the products are made, peace is built. Quality peace and products take more time, growth in skill and attention to detail. Peace is created, it is learned – it is not always easy, you will make mistakes that you sometimes have to scrap and attempt to fix, yet the results show the struggle has been worthwhile, whether you begrudgingly surrender your project that disappoints you to the “utilitarian” or “functional” category, or whether you end up with a surprisingly beautiful treasure. Results don’t always show quickly, sometimes they move incrementally, because the commitment to the end product of peace requires long term vision. Patience, concentration, imagination, hope. These women working side by side may not be ending war or winning a Nobel Peace prize, but they play an essential role in the fabric of their societal wellbeing by engaging in trust and relationship with the “Other” around them, rather than allowing distance and prejudice to take over. They not only pass this over to their husbands, families and friends, but pass it down to their children. This work is generational, communal, and it can be taught and learned. Saturday morning, we debriefed together at the top of the popular Swahili house that arguably offers one of the best views of Stonetown. We discussed what we learned, what was successful, assessed whose voices we needed to hear more of, and potential collaborations between our organizations. We tried creating more attempts to collaborate, however awkward it seemed, knowing that sometimes visions and designs don’t always come out like they were intended but not letting go of hope. In these conversations and beautiful moments of learning about and exploring one another’s worlds and homes, we cling to a vision that our relationships with one another pass and multiply peace in our contexts and beyond. Ms. Laurel Pals is seminary student in Western Theological Seminary. She was a volunteer with Al Amana Centre during Spring 2018 and attended the seminar in Zanzibar representing Al Amana Centre. Religious Diversity in America: Division or Harmony? On the morning of September 11th 2001, I was attending a morning meeting at the Marble Collegiate Reformed Church in New York City. I was serving as an Associate Minister on staff at the church. The Senior Minister of the church, Rev. Dr. Arthur Caliandro arrived with a quizzical look on his face as he entered the meeting room. He said, “I’ve never seen anything like it. I was walking to the church along 5th Avenue and a large jet airliner flew right overhead.” We all assumed that the airliner had simply gotten off course. Moments later a secretary ran into the meeting and announced, “A plane has just hit the World Trade Center.” Still assuming the crash had been accidental and not understanding the extent of the damage, we stopped our meeting and said a prayer for the pilot, the passengers and anyone who may have been killed in the crash. We finished our meeting and gathered on 6th Avenue where we had a clear view of the twin towers. By then the second plane had hit. We stood astonished as we gazed at the profile of one of the planes etched into the side of one tower with black smoke billowing out from the side of the other. We knew in that instant that we were all victims of a terrorist attack.1 People began to flee the city in droves fearing more attacks to come. Our impulse was to stay. The ministers of the church and I put on our vestments, our robes and stoles. We opened the church for prayer. Through out the day thousands of people wearing expensive business suits covered in grey ashes walked north on 5th Avenue like zombies from a mass grave. Protestants and Catholics came into the church for prayer. Atheists came into the church seeking answers. Several members of our church lost husbands, wives, sons and daughters in the tragedy. Dr. Caliandro, the other ministers of the church and I held weekly grief counseling sessions to help our members through their losses. We ended the year with memorial services near the crater that had become the public grave of the victims. The events of September 11th changed our lives, but not in the way that you might imagine. A member of my congregation asked me, “Where was God on 9/11?” In the weeks following September 11th, New York had not become an angry or vengeful city. New York had become a city of compassion. I believe God was in the spontaneous prayer gatherings of thousands of people as they congregated in Central Park for candle light prayer vigils. I believe God was in the hearts of the crowds who formed lines several city blocks long to donate blood for victims. And I believe that God was in the hearts of people as they offered protection and friendship to their Muslim neighbors insuring that prejudice would not prevail. Americans have become more vigilant, less naïve, more watchful. But as a whole we have not become more hateful. The events of 9/11 raised the profile of Muslim Americans, it prompted the nation to learn more about Islam, but it did not lead to division as one might expect. On the contrary, the heightened awareness has led to a greater harmony between Christians, Muslims and Jews. For every press event that focused on the infrequent and isolated incidents of hatred against Islam there were thousands of unreported gestures of good will and solidarity. New Yorkers and Americans are fierce defenders of religious and ethnic diversity. Religious pluralism is in our roots. It is who we are. Those of us who are Christians would say we are guided by Jesus’ commandment to “Love one another as I have loved you.” (Gospel of John 13:34). New York has been a city of religious diversity for over 350 years. The church that I serve as a Minister, The Reformed Church in America, was established on the Island of Manhattan in 1628 by the Dutch merchants who came to the Island to conduct a fur trade with the Manah Atin Tribe of the Wappinger Indian Nation.2 The archives of our church make reference to Roman Catholics, Jews, Protestants, and Muslims coexisting in New York since the 17th Century. Some of the sailors on board the merchant ships that came to the New York harbor for trade were Muslim, as were many of the merchants who worked in the city. Despite what the press would have you believe, the terrorist attack of 9/11 did not shake New York’s love for its Muslim citizens, and, in fact, it strengthened our nation’s commitment to religious diversity. In a book titled Beyond Tolerance: Searching for Interfaith Understanding in America, author Gustav Niebuhr tells the story of a growing religious pluralism in America after 9/11.3 Niebuhr was working as a reporter for the New York Times in September of 2001. He and the reporters of the Times went out to find stories that illustrated a backlash of Christian, Jewish and secular Americans against Muslims. After searching the country for these stories, much to their surprise, the reporters only found six isolated incidents of violence against Muslims in the weeks following 9/11. One of the stories covered the crazed and ignorant man who shot an attendant at a Chevron petrol station in Arizona. The attendant was dark skinned with a beard and a turban, a Sikh mistaken for a Muslim. The press turned their cameras on these six isolated incidents with obsessive focus for the world to see, creating the false impression that these random acts of violence were representative of American sentiment. They were not. Niebuhr later regretted that he and the American press had missed the far larger story. What was not reported in the wake of 9/11 were the hundreds of Christian churches across the country that organized volunteer neighborhood patrols to care for neighborhood mosques by guarding them and preventing violence against them. Muslims found bouquets of flowers at the mosque entrances with handwritten notes of love and friendship. In Seattle, Chicago and New York, Jewish synagogues reached out to area mosques and offered friendship, protection and assistance. Christian and secular women around the country wore headscarves to express their solidarity with Muslim women. The greater story of American interfaith peace and collaboration was not a compelling story for the press to cover. It was not sensational. Neibuhr wrote Beyond Tolerance: Searching for Interfaith Understanding in America to tell the more truthful story. In 2004 the world’s largest interfaith organization and affiliate of the United Nations, Religions for Peace, counted the number of organizations in the United States that had been formed to bring people together across religious lines for the purpose of contributing to the common good in society. They discovered over 1,000 such organizations, many formed after 9/11. My own experience mirrors this trend of interfaith peace and collaboration in the US. In the years after 9/11, I served as the minister of the Reformed Church of Cortlandtown and the president of an interfaith association in New York State. One hundred houses of worship including Shia and Sunni Mosques, Roman Catholic Churches, Ukrainian and Russian Orthodox Churches, The Reformed Church in America, Anglican Churches, Methodist Churches and Jewish Synagogues all worked together for the common good. We ran a 19 bed homeless shelter. We served 30,000 meals a year to the poor of the City of Peekskill. We ran an interfaith chaplain program to provide prayer and spiritual support for sick and dying patients at the Hudson Valley Hospital. We worshipped together in interfaith prayer services on Martin Luther King Jr. Day and on Thanksgiving Day. And we stood in solidarity with each other in times of hardship. In the spring of 2006, two troubled youth desecrated a Jewish synagogue in our area. They painted swastikas (Nazi symbols) on the walls of the synagogue. They urinated on the Torah scroll of God’s Holy Scripture. They turned over the chairs and burned the carpets. The members of the synagogue were devastated. We were all shocked and saddened by the vandalism. But in a beautiful expression of the love that should exist between God’s people, the leaders of the Shia and Sunni mosques stood with us to express our support for our Jewish neighbors. The members of our various houses of worship volunteered to help the synagogue to rebuild. In the same year a group of Sunni Palestinians purchased a decommissioned Catholic school in our town and applied for a certificate of occupancy. They were denied at first for spurious reasons. The town zoning board cited traffic increases as the reason for declining the application. The clergy and religious leaders in our interfaith organization saw through this rejection. When the building had been a Catholic school hundreds of cars and busses came and went from the location nearly every day. As a mosque many fewer cars would come and go on Fridays and Islamic holy days. One hundred area clergy, Jewish Rabbis, Orthodox Priests, Roman Catholic Priests and Protestant Christian ministers petitioned the Town and spoke in favor of the Sunni congregation’s right to build. The Town granted the certificate and today the mosque is a thriving congregation in our town. This is the peace that prevails in the US between Muslims, Christians and Jews. Sometimes there are misunderstandings between religions in America and, when they occur, part of the reason is a lack of interfaith education among the public. A well-educated public can serve as an antidote to these misunderstandings. To be sure, sometimes the media does seek out and cover incidents of division, but these stories do not present a full and accurate picture of religious pluralism in America. Just prior to my country’s elections last November there was public opposition to the Park 51 Islamic Community Center and Interfaith Prayer Room proposed near the site of the World Trade Center. There were uninformed New Yorkers who opposed the project. The protests were exacerbated by local politicians hoping to garner votes. The media focused on the protestors and nearly ignored the statements from hundreds of Christian and Jewish organizations in New York supporting the right of the Muslim congregation to build. We are drawn together by Jesus’ calling to love one another, and we share a common vocation of pursuing peace with all people (John 13.34 and Hebrews 12.14). It is from this basis that we, as a community of believers, offer the following comments on the controversy that has been generated by the proposal to develop a Muslim Community Center in lower Manhattan. We live in the midst of God’s marvelous mosaic. New York City and its environs is a place of cultural diversity and religious pluralism. The positive and inclusive nature of the Christian faith compels us to respect all people, listen to diverse viewpoints, and work in partnership with those who seek peace and the good of our community. First, we call for civil dialogue where the rights of all people are respected. We pledge ourselves to be engaged in settings and venues where interfaith dialogue and cooperation is fostered throughout the city and beyond. We call upon all those who would exploit this situation for their own personal agendas through demagoguery and the demonization of others to cease their rhetoric and extend their ears and their hearts to all. We commit ourselves and encourage others to learn more about Islam. If the current controversy has shown anything, it is the great misunderstanding about the faith of Muslims. We commit ourselves and encourage others to build relationships of trust! Because of who we are and who we are called to be, we celebrate a vision of cultural diversity and religious tolerance, a setting where we can learn about one another, participate across lines of race, faith, culture, and socioeconomic condition to be faithful to our calling in this city. Therefore we are committed to work with the organizers of Park51 and all concerned parties as a reconciling agent so that there is a new way for the residents of this city and all Americans to move forward into a new future in which civil dialogue leads to healing and understanding.4 !!!!!!!!!!!!!!!!!!!!!!!!!!!!!!!!!!!!!!!!!!!!!!!!!!!!!!! 4 “A Call to Reconciliation” was co-authored by Rev. Michael S. Bos, West End Collegiate Church Rev. Dr. Michael B. Brown, Marble Collegiate Church Rev. Robert Chase, Intersections International Rev. Dr. Jacqueline J. Lewis, Middle Collegiate Church Rev. Charles D. Morris, Fort Washington Collegiate Church. Printed as an ad by the New York Times on 9/10/2010. * This statement from the Reformed Church of America, while it was not widely covered in the media, is representative of the statements issued by nearly every Christian denomination and Jewish organization in New York. Last August also saw the irresponsible press coverage of the misguided pastor of a small congregation in Florida who planned to burn copies of the Holy Quran. In this instance too, Christian denominations across the nation denounced the pastor and his ungodly plot. The Reformed Church in America’s General Secretary, Rev. Dr. Wes GranbergMichaelson, issued the following statement in response to the Florida man’s offensive plan. The Twin Towers of the World Trade Center were in the heart of the old Dutch colony of New Amsterdam and only a few hundred feet from the site of the first Reformed Dutch congregation in what would later become the United States. Reformed Church in America members suffered in that attack. Other members of our church hurried forward to offer help to those who lost loved ones on that terrible morning. As we mark this solemn day in our church life, we know that the small group of terrorists who attacked our country on that day did not represent Islam as a whole. No world faith can be fairly judged on the basis of the actions of its most extreme adherents. In our commemoration of the attacks of September 11, let us deplore all forms of religious bigotry. Even as we affirm everyone’s right to free expression of ideas, we must not condone anyone’s trampling on the religious symbols of others in order to make a point. A tiny minority is threatening to mark this anniversary by burning copies of the Qu’ran. Such an action is a terrible offense, and contradicts all we know about providing a faithful witness to the transforming love of God in Jesus Christ. It is merely a public display of hateful prejudice. Neither the cause of Christ nor the pursuit of peace will be “+ advanced by disparaging other faiths. Instead let us speak about others with accuracy and fairness. Only by showing respect for one another can we build the kind of world we want to live in. 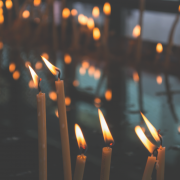 The impulse to create caring communities of interfaith collaboration, mutual understanding and support across America is a far stronger force than the weak and uncommon response of violence and hatred. The 118 year-old friendship between the Reformed Church in America and the Sultanate of Oman will endure though all time for all of the world as an example of the peace, fellowship and love that is possible between Christians and Muslims. Our friendship is a bond that grows from our desire to follow the teachings of Jesus Christ and exemplifies the American ethic to foster and protect a pluralist civil society. http://alamanacentre.org/wp-content/uploads/2017/09/Candles.png 1000 1500 Daniel http://alamanacentre.org/wp-content/uploads/2017/10/al-amana-logo-full.png Daniel2017-09-27 17:46:412017-12-01 15:06:41Religious Diversity in America: Division or Harmony? community, increased exposure to violent imagery, and a trend toward individual consumerism. This article will seek to define globalization, and discuss the way in which these unintended consequences have threatened to erode local time and space-bound human community and the cohesion of extended family systems. 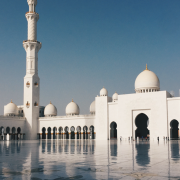 Islam and Christianity provide a set of shared values by which to evaluate these rapid changes and to suggest a model for the preservation of communal connection and identity. BCE.iii Oman’s products can be traced to locations in the farthest reaches of Europe and China. global commerce for thousands of years. globalization does not necessarily betray the deepest values of the Abrahamic faiths. Globalization is not, then, a new phenomenon, nor is it an exclusively Western innovation. linguistic, cultural, religious, ethnic – have become permeable as never before. every region of the planet. the intrinsic values of reconciliation and hospitality, essential to sustaining community. Participation in a local community is essential to healthy human development. participation in an extended family system and a primary local community for identity formation. replaced by membership in multiple communities, spread across space and time.ix Sociologist B.
which are essential to identity formation will be less available. between the members of the family. decade since television became available in nearly 100% of American homes in the 1960’s. communities and extended family systems. a way that they harmonize with the wisdom and blessings of our traditions. dropped by a record 10.4% in 1999 from the previous year (Associated Press, 2000). America and around the world where media usage is on the rise. between increased media consumption and the increase in fear which inhibits community. freedom from fear, essential to the formation and fostering of human community. influence emerging world culture in a substantial and positive way. while remaining engaged in local time and space-bound primary communities. envisioned Islam as a global community of Muslims, the Ummah, the community of believers. world while maintaining their respective commitments to a local community. faiths share a religious identity as God’s servants, not individual consumers to be served. correctives to the aspects of globalization that threaten shared values. globally connected and regionally engaged in community. Church, Professor Katherine Czepiel, Caleigh Boyer-Holt, editorial assistance. Beyer, Peter. Religions in Global Society. London: Routledge, 2006, p.18. Egypt.” Journal of Anthropological Archaeology.17:97-123 (2000). Geografía y Estadística, época. 2, vol. 1. (1869): pp. 292–297. v Nasr, Seyyed Hossein. Islam: Religion, History and Civilization. New York: Harper One, 2001, p.49. vi Ali Mohammadi. ed. International Communication and Globalization, London: Sage, 1997, p.3. Management of Place: An international perspective. Eds. Michael Osborne, Kate Sankey, and Bruce Wison. London: Routledge, 2007, p. 63. Shaping Computer-mediated Social Relations. Eds. L.Keeble and B.D. Loader. London: Routledge, 2001, p.17. xi Traber, Michael. Globalization, Mass Media and Indian Cultural Values. Delhi, India: ISPCK, 2003, p.131. America, Europe, Asia, the Middle East, and Oceania. 2009. p.32. xiv The Middle East has seen an internet usage growth rate of 1,648.2 % since the year 2000. %. Europe – 297.8 %, North America – 134%, Latin America/Caribbean – 890.8 %, Oceania / Australia – 175.2 %. Syria, Israel, Kuwait, UAE, Yemen, Libya, Bahrain, Qatar, Oman, Algeria and Tunisia. to secularism, issues of gender equality, and suggested a framework for Islamic interaction with global commerce. Media and Information Literacy Education. V3 #4. Toronto: University of Toronto Press, (November, 2003), p. 2.
xvii Warr, Mark. “Fear of Crime in the United States: Avenues for Research and Policy.” Criminal Justice. V 4.
xviii Warr, Mark. “Fear of Crime.” Encyclopedia of Crime and Justice. The Gale Group Inc. Encyclopedia.com. Mohammed Marmaduke Pickthall. New York: New American Library, p. 149.
xxii NRSV, The Gospel According to Luke, chapter 13, verse 29.
xxiv Agha, Aatullah., et al. 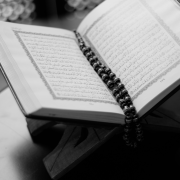 The Holy Qur’an: text, translation and commentary. New York: Qur’an Inc., 2004. © Copyright - Al Amana Centre | built with 5 espressos.